West Hollywood: This week will mark the latest chapter in the Primo Hospitality Group's gradual takeover of Los Angeles. If all goes to plan, Tony Riviera’s Primo Bistro will open this Thursday in the old Panini Cafe space in the Ramada Plaza Hotel. 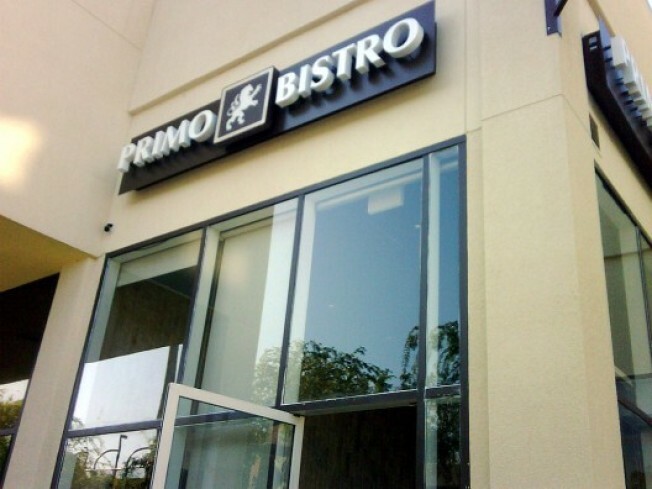 Unlike the group's more casual Caffe Primo outposts, Primo Bistro is, as its name implies, a full-on restaurant: table service, patio seating, a full bar and an extensive menu of sandwiches, pizzas and pastas. In other Primo empire news, now that Tonys Steakhouse has been open about a month, it's probably high time to start looking out for one Miss Irene, yes?